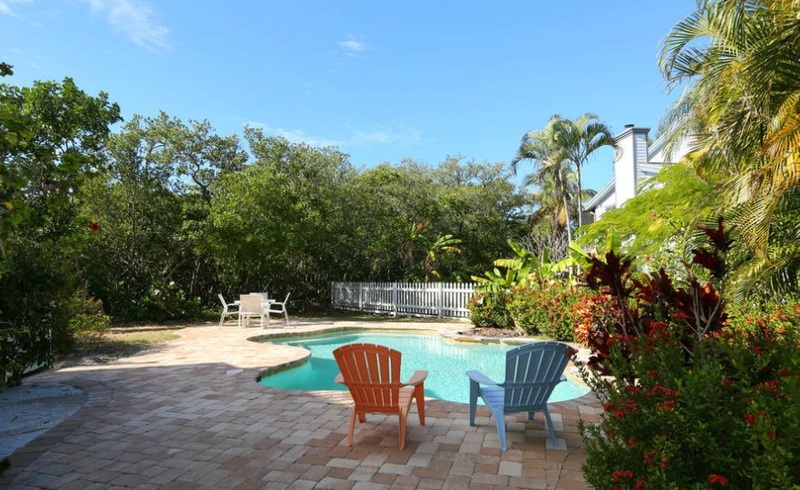 Imagine walking outside from your backdoor and feeling the warm Florida sunshine on your skin, the soft breeze, and the gorgeous view of your heated saltwater pool nestled in-between some palm trees. Sounds amazing right? You can enjoy this many times over with your very own swimming pool. Anna Maria has many great homes with backyard pools that can make you feel like you’re in paradise every time you go outdoors. Entertain guests with an outdoor swimming pool during a barbecue or even your child’s birthday party. A plus about having your own pool is that you can use it any time of the day you want. No having to wait for a community or local pool to open up! Having a swimming pool in your backyard also increases your home’s value. No matter what you are looking for in your home, we will be happy to help you find your paradise.